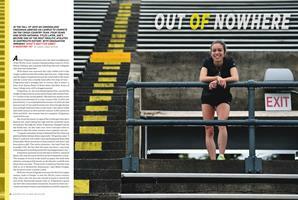 In the fall of 2010 an unheralded freshman arrived on campus to compete on the cross-country team. Four years and seven national titles later, she’s become one of the most prolific athletes in Dartmouth history. With graduation imminent, what's next for Abbey D’agostino ’14? 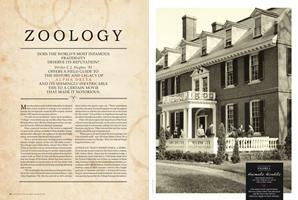 Does the world’s most infamous fraternity deserve its reputation? Writer C.J. Hughes ’92 offers a field guide to the history and legacy of Alpha Delta and its seemingly inextricable ties to a certain movie that made it notorious. 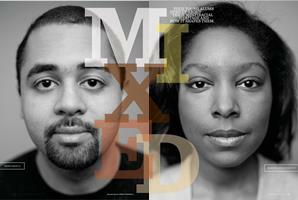 Four young alums open up about their multiracial heritage and how it shapes them. Finding synchronicity in the North Country. San Francisco government veteran Phil Ginsburg ’89 now presides over the city’s cherished green spaces. What date most changed the course of history? Professors from various disciplines weigh in. “Marine Policy” delves into the crosscurrents where marine biology collides with political policy. Clinton Gardner ’44—and his Army helmet—barely survived D-Day.